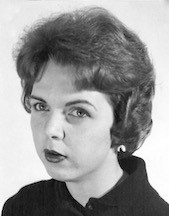 Arlene K. Wilson, 78, of Wapakoneta, passed away at 1:29 p.m. Thursday, March 28, 2019 at Wapakoneta Manor. She was born on February 21, 1941 in Lima, OH to Carl & Alice (Rhine) Edmiston who preceded her in death. On December 19, 1961 she married Bobby Wilson and he passed away on September 29, 2010. Survivors include 5 children, Tonya (Dale) Hulsmeyer of Wapakoneta, Craig Wilson of Lima, Kevin Wilson of Elida, Brad Wilson of New Bremen, Michele (Maurice) Pharr of Wapakoneta; 9 grandchildren Alicia (Nick) Riethman, Isaac Hulsmeyer both of Wapakoneta, Cole (Tiffany) Wilson of St. Marys, Renee Wilson of Lima, Brittney Wilson, Joseph Wilson both of Uniopolis, Reign Pharr, Michael Pharr, Aiyana Pharr all of Wapakoneta; 5 great-grandchildren; 2 sisters Phyllis Allinger of Miamisburg and Carol Winkle of Lima and a brother Larry Edmiston of Columbus Grove. She was preceded in death by a sister Janet Kline. Arlene was a 1959 graduate of Lima Senior High School and then graduated from the Richard Weston School of Beauty. She was a manager for many years of soft lines at Rink’s and Cook’s. She also helped keep the books for her husband’s trucking company. She was a member of Uniopolis United Methodist Church. She enjoyed doing yard work, gardening, raising flowers but most of all she enjoyed feeding and watching birds. She greatly enjoyed spending time with her grandchildren and great grandchildren. Funeral services will begin at 10:30 a.m. Monday, April 1, 2019 at Schlosser Funeral Home & Cremation Services, Wapakoneta with Rev. Jaired Birks officiating. Burial will follow at Memorial Park Cemetery, Lima. Friends may call from 2-5 p.m. Sunday at the funeral home. Memorial contributions may be directed to the Alzheimer’s Association.